Since introducing their side-plated boxlock last year, Boxall and Edmiston have never been far from their drawing board and they’re now producing a very interesting sidelock. At a glance this gun looks very much like the side plated model probably because its locks are pin less – in other words none of the screws that hold the lockwork together are visible on the outside. It’s an approach that gives the engraver a full canvas to be as expressive as possible but the company do say they will make locks with visible pins if the buyer prefers a more traditional look. 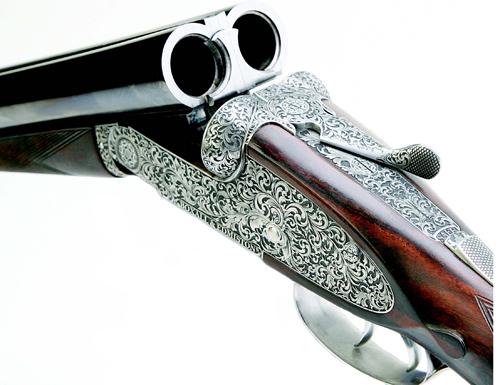 The design of the gun is wholly that of the makers but with inspiration and principles from established designs such as the Holland and Holland. The gun is built as a back lock which means the mainspring is located behind the hammer, rather than in front as in a bar action sidelock which purists argue is the better looking of the two. 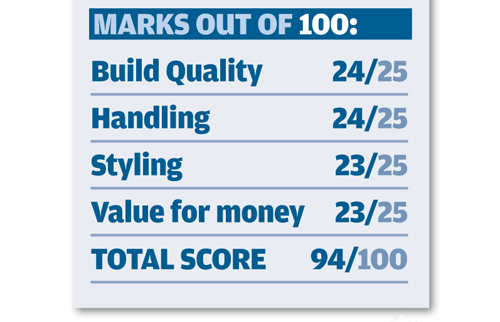 They might be right but the back lock is equally good mechanically and it’s cheaper to make and this has enabled Boxall and Edmiston to build an exceptionally good value sidelock. Another advantage of backlock guns is that the action frame is stronger because no provision has been made for the mainspring and this extra strength enables the gun to cope with the demands of lots of shooting with modern ammunition. 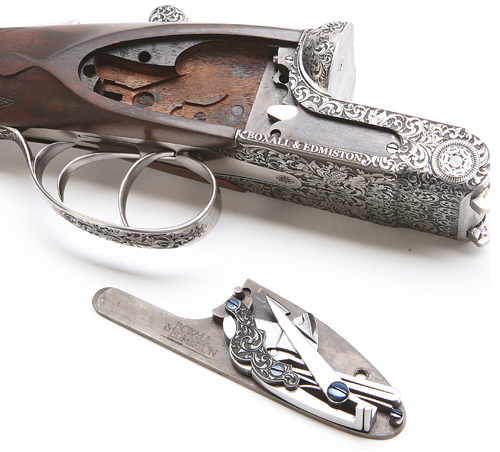 A full draw for the circle of the back lump has been incorporated into the action frame which ensures the gun has an immensely strong lock up when closed. Coupled to this is a B+E diamond section leg on the extractors to give positive ejection with modern cartridges. Boxall and Edmiston produce these guns at such value for money prices because they make full use of computer aided design and manufacturing but the parts still have to be fitted and finished by hand which means you are still buying into gunmaking craftsmanship at the highest level. Maybe this was in defence of them using the most modern production methods of the time but the arrival of today’s computers has allowed Boxall and Edmiston to take that ethos to a higher level again. For instance the engraving is not just impressive, it’s phenomenal. And it is done by laser! Even the best hand engravers struggle to spot the difference but doing it by machine means the gun’s price is reduced by around £10,000. The broad action frame of this sidelock brings the weight of the gun to 7lb but this is unnoticeable because the balance is bang on the hinge pin and therefore places the weight nicely between the hands. In turn this makes the gun point very well and handle quickly. Standard stock length is 15.1/ 4 in with drops of 1.7/16in at comb and 2.1/4in at heel but bespoke stocks for right or left-handers can, of course, be made.